As a group 2/3 car seat, the Solution X is suitable for children weighing 15 - 36kg (approx 3 - 12 years old) and features an 11 position height adjustable headrest so that the car seat grows with your child in order to keep them protected and secure. 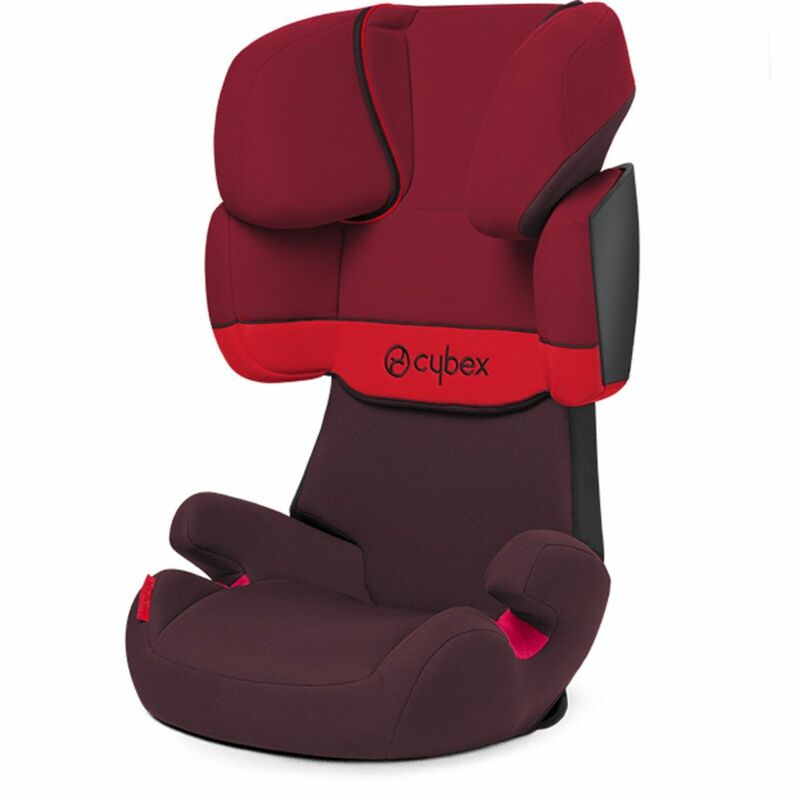 Perhaps the most important element in the safety concept of the Solution range of Cybex car seats is the patented 3-position reclining headrest which cleverly prevents the child's head from lolling forward while asleep, which can place undue stress on the child’s neck. In the case of a side-impact collision, the child's sensitive head remains within the safety zone of the seat, ensuring optimal protection. Effectively absorbing the energy in the case of a side-impact, the Linear Side-impact Protectors (L.S.P. System) add an extra dimension to car seat safety. At the same time, the body’s kinetic energy caused by the impact is absorbed right away and the head is actively guided into a safe position.